Growing a heart for service — through action. The 5&2 in Thrive Kids’ Ministry is a reward concept that goes deeper than kids just receiving something for themselves. Kids can use points they earn in a way that is mission-minded, and this teaches them what it means to serve others. 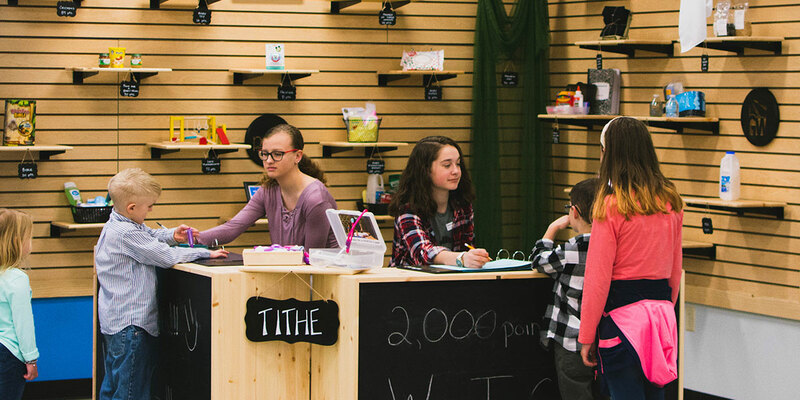 Kids use their points to visit The 5&2 Shop, located in Thrive Kids’ Ministry area. Points are redeemable through donating in various ways to those in need.